There’s a drama to the Hungarian black pepper that’s 100% its own. Its dark-hued skin turns to a rich jewel tone red as it ages, and it delivers a certain sweetness at maturity quite unlike other chilies in its heat range. This is a chili that fits both form and function, working beautifully as both an ornamental pepper and a culinary chili. How hot are black Hungarian peppers? 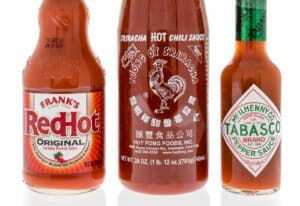 The heat is very similar to a jalapeño’s spiciness, just with a higher floor and a somewhat higher ceiling. 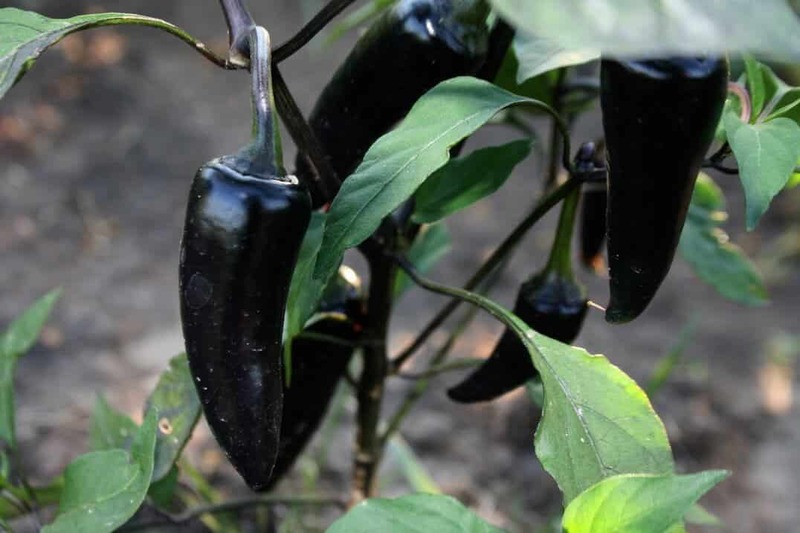 You won’t find black Hungarian peppers – when mature – that are ever as mild as a jalapeño could be, and they can reach the heights of the mildest possible serrano pepper. 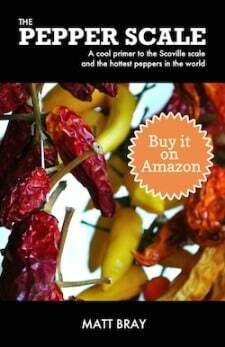 This is culinary-friendly heat – easily appreciated by even “on the fence” spicy food fans. This is where black Hungarian peppers shine, truly. They have a shape much like a jalapeño, but with slightly thicker walls. They grow in a conical shape, up to three inches long, with a slight curve near the tip. When young, they age from green to a slightly shiny deep purple to black hue. This darkness is only skin deep; when you slice open the pepper, you’ll discover green flesh and thick green walls in the interior. It’s a surprising color foil, and it makes young black Hungarian peppers a fun chili to use fresh, especially if you are into plating aesthetics. As this chili ages into maturity, it morphs from dark to a jewel tone red. 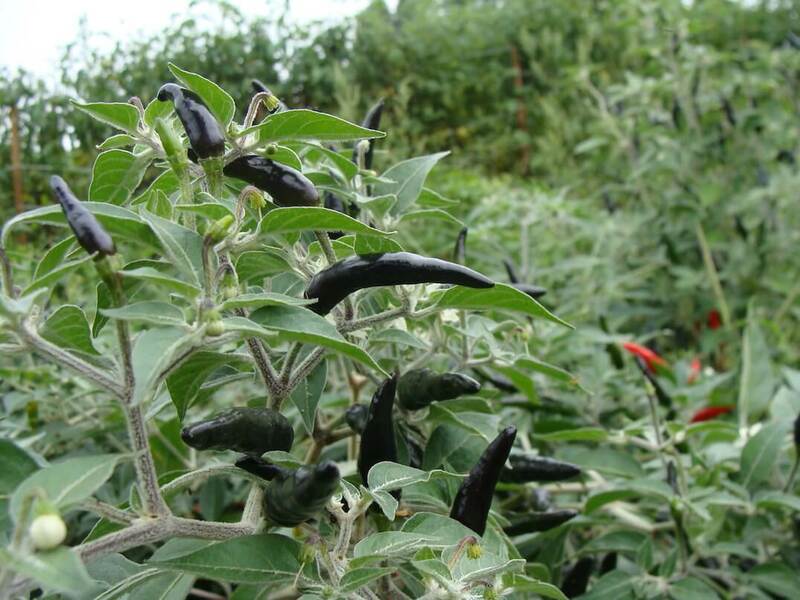 During the process, the black Hungarian pepper becomes two-toned – shiny black and rich red. They are beautiful to watch as they age. But it’s not only the chilies that are beautiful, the plant, too, is lovely with delicate purple flowers blooming among the chilies. 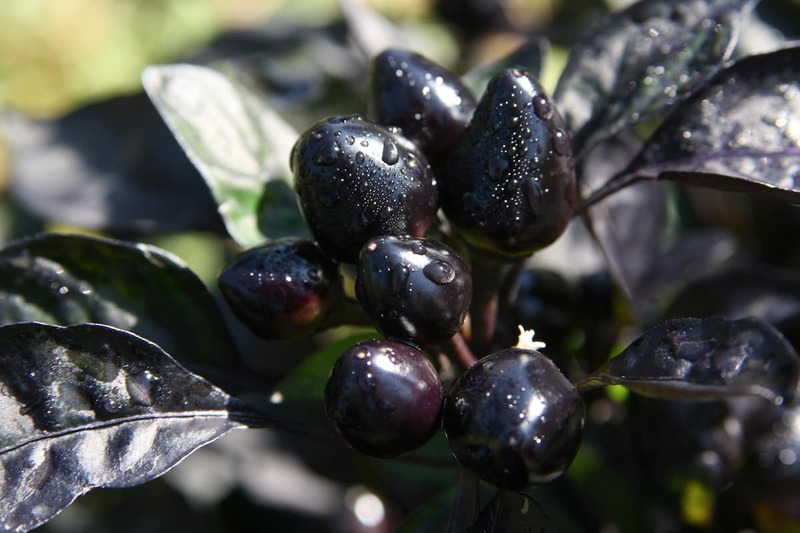 If you’re looking for an ornamental pepper plant with dramatic dark and rich colors, it doesn’t get any better than the black Hungarian. What do black Hungarian peppers taste like? 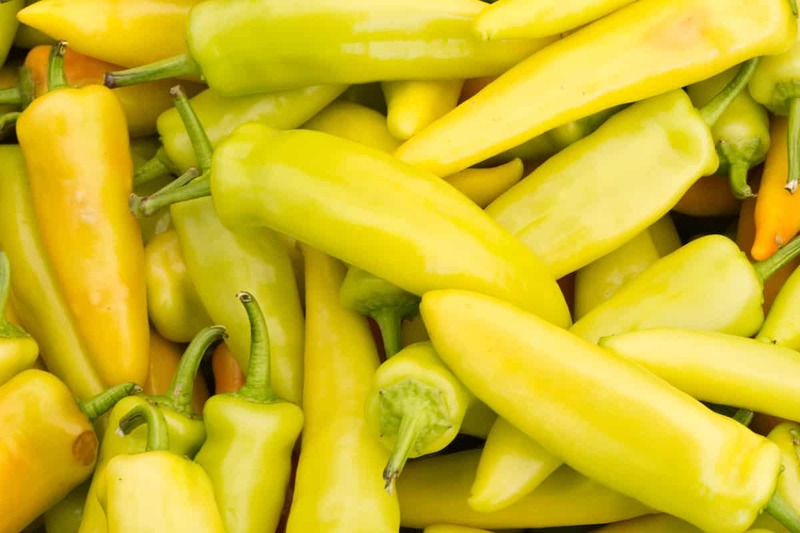 When young and dark in color, these chilies do carry little heat (they gain as they age), and their flavor is much like a bell pepper, crisp and fresh. But once they turn red, the game is on in terms of flavor. 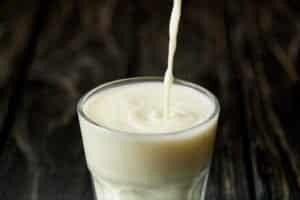 They intensify in heat and take on a sweetness that’s unexpected. It’s somewhat sweeter than a Fresno pepper, but not with the Fresno’s smokiness. Wherever and however you’d use a jalapeño or Fresno pepper, you can use a Hungarian black. It’s a terrific salsa pepper, and it works very well sliced into salads. You can stuff these chilies just like a jalapeño, just consider the sweetness when pairing ingredients. Back Hungarians also work well as pickling peppers and with their thick fleshy walls they dry well, too. Or simply try roasting them as a side; the meatiness of the chili with its bold flavor (and looks) pairs well with heavier meals like steaks and chops. Where can you buy black Hungarian peppers? You won’t pick them up at your local grocer. These aren’t chilies that share the same cache as the jalapeño (though in our book they are worthy.) Look to farmer’s markets or grow them yourself. Black Hungarian pepper seeds are easily available online (see them on Amazon), or look to your local gardening center. They may carry them, but don’t be surprised to have to source via online vendors. Few chilies tie together flavor and stunning looks quite the way the black Hungarian pepper does. 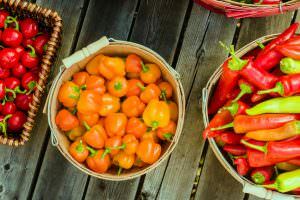 Make the opportunity to explore this chili, especially if you’re looking for edible landscaping plants. Then you’re in for the best of both worlds.